Dies ist ein sehr betrunken otter. Please feel free to correct Google’s German. 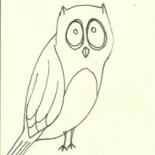 And I know, I know — I just did Neurotic Owl at Oktoberfest in the paper dolls, and it’s not even Oktober. 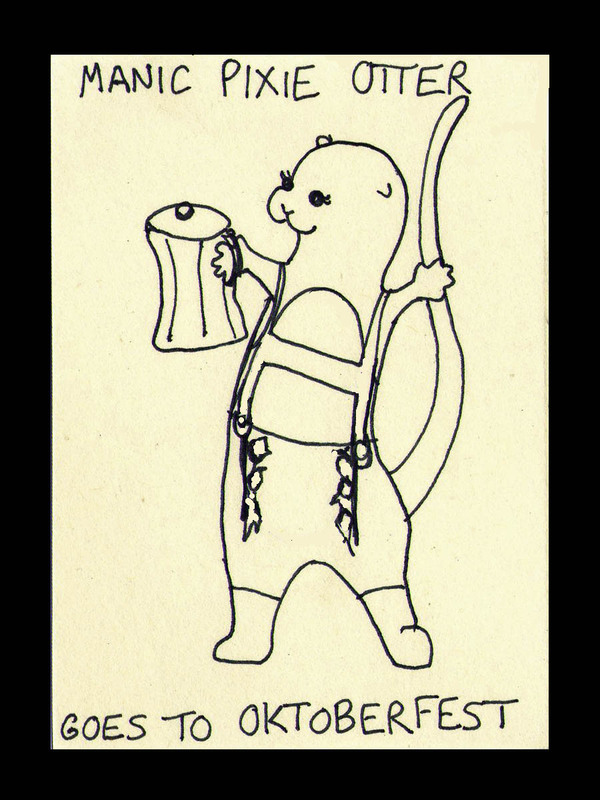 I was just really in the mood to draw an otter with a giant stein of beer, or possibly chocolate milk. Oooh, wait, chocolate wine! It’s like alcoholic Yoo-Hoo! And Yoo-Hoo is like a not-terribly-good chocolate eggcream, and now I want an egg cream. Good job, me. Way to make yourself crave things you don’t currently have access to. Damn, I should have given her a bubble pipe. This entry was posted on May 9, 2014 by naralesser and tagged cookery, non-owl, otter.